The NAB 2018 convention made clear that Over-The-Air (OTA) broadcasters are about to be handed a new transmission platform, which enables a wealth of exciting business opportunities. Yet many owners and engineers have yet to understand just what those options might be. The article, Broadcast TV’s future revealed: ATSC 3.0 enables new business models written by Madeleine Noland, ATSC Technology Group Chair, will help explain the technology and some of the business options. It should be required reading for both station management and engineers. The second article this week focuses on a chief competitor of the traditional broadcaster, Over-the-Top, (OTT). Written by The Broadcast Bridge’s industry expert on OTT, Philip Hunter, the article pulls back the covers on this technology to reveal how it is already affecting traditional broadcast viewers. Hunter argues that while television pundits have been claiming the death knell for over-the-air television has been ringing for years, its chief competitor is already here. For an increasing portion of today’s viewers, OTT streaming video is how they receive and share that content. 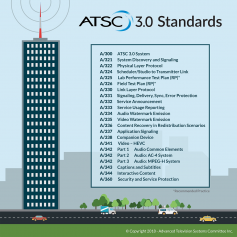 ATSC 3.0 comprises a suite of standards. Consumers in the digital age are quick to adopt new media consumption habits as new technology and viewers’ options evolve. For broadcast television, this challenge is practically existential. The traditional broadcast model of one-to-many for television (and radio) dominated the second half of the 20th century. But the introduction of cable and satellite TV and the Internet enabled not only a direct one-on-one relationship between a media source and consumers but delivered tailored personalized services and offerings that bolster “stickiness” or loyalty. With the launch of ATSC 3.0 many of the benefits previously reserved to the competition now become available to TV broadcasters. Read more in the article, Broadcast TV’s Future Revealed: ATSC 3.0 Enables New Biz Models. Many believe the future of television will be OTT, but millennials are not living room viewers. Multi video program delivery will have to meet the viewers on their terms. A recent Vimeo survey, based on 3.6 million OTT subscribers spanning 230 countries, shows that the traditional audience broadcasters initially targeted, baby boomers, are no longer the driving force they once were. Younger viewers want to receive their content in different ways. Further survey evidence shows that audiences in most countries are migrating from traditional television to OTT and digital video platforms. Ericsson’s 2017 ConsumerLab’s TV and Media report found consumers on average watch four more hours of mobile video every week than they did four years ago, while traditional TV viewing time is down by 2.5 hours per week. 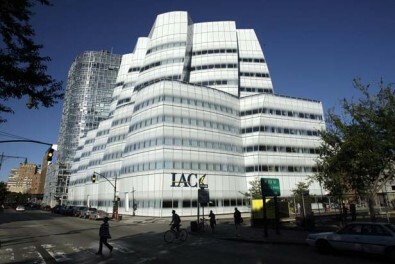 How will your company adapt? Read the article, Is OTT TV's Death Knell?